WALDNER Laboreinrichtungen has a further subsidiary in the Asian region. 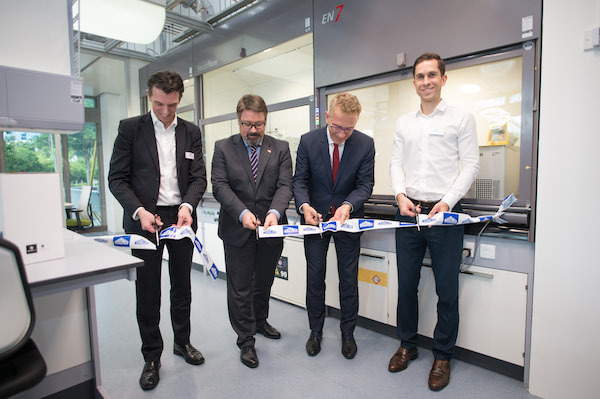 WALDNER’s subsidiary in Singapore has now officially opened. “We have established ourselves extremely well in the market and wanted to indicate this to our customers now with the establishment of this subsidiary company: WALDNER now has concentrated expertise in situ,” explains Maximilian Englisch, Manager of the WALDNER subsidiary in Singapore, listing one of the reasons for this step. WALDNER has had a liaison office in Singapore since 2016. Since then, the german supplier of laboratorieshas completed a number of reputable projects and even won the “Lab of the Year Award 2018” with its laboratory furniture for the South Korean CJ Group. In the meantime, not only projects are acquired and processed in Singapore, the subsidiary company also provides its customers with service and maintenance of the laboratory equipment. “We are pleased to be able to now offer our customers a comprehensive service on site,” comments Englisch, with pleasure. He also emphasises that the office in Singapore now includes a large exhibition area, in which WALDNER not only demonstrates its flexible laboratory furniture system, but also its DIMENSIONS service supply system and its most important types of fume cupboards.